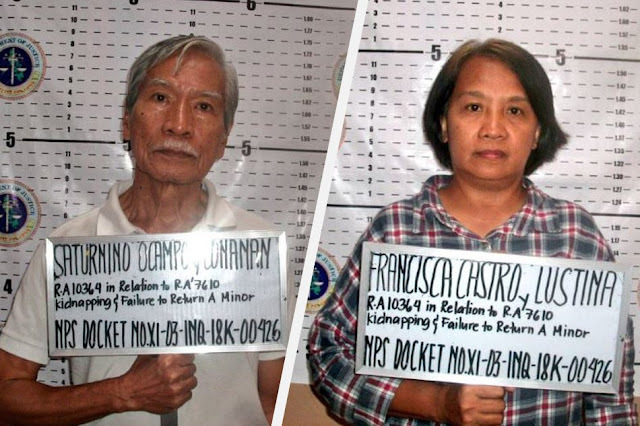 On Monday, President Rodrigo Duterte said he supports the police in arresting former Bayan Muna Rep. Satur Ocampo, ACT Teachers Rep. France Castro and 17 others for kidnapping and human trafficking charges. 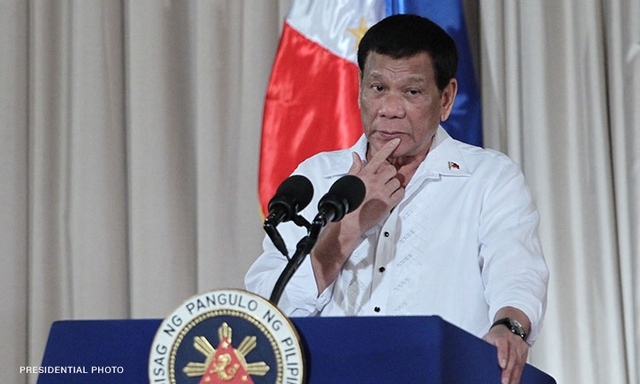 “I support the police and the military… you must be aware (that) you cannot remove children from one community to another without the consent of the parents,” Duterte told reporters in an interview in Malacañang. “That is actually kidnapping,” he stressed. Ocampo, Castro, and 16 others, were arrested at a checkpoint in Talaingod, Davao del Norte last November 28 for allegedly holding and transporting students, including minors of Salugpungan Learning Center, a school for Lumads, without the consent of their parents. Tagum City Executive Judge Arlene Palabrica ordered Ocampo's group released after they each posted a bail of around P80,000. Duterte then lamented how the New People’s Army (NPA) uses the Lumads in their insurgency efforts against the government. “You heard they were lectured upon by the Lumads and it’s all controlling the lives of the natives. ‘Yan ang mahirap sa komunista, ginagamit nila ang Lumad, kaya karamihan ngayon na namamatay Lumad,” he said. “Seventy-five of the armed soldiers of the New People’s Army are Lumads, kawawa eh,” he added. The President also accused Bayan Muna of being a “front” of the communist rebels. “Satur Ocampo is fronting Bayan (Muna), Bayan is a front of the Communist Party of the Philippines bakit pa tayo magdrama,” he said. “Alam natin na KMU (Kilusang Mayo Uno), ‘yan Gabriela they are all communists fronts or being used by the communists alam niyo lahat ‘yan,” he added. Meanwhile, Armed Forces Chief of Staff Gen. Carlito Galvez Jr. tagged Ocampo and Castro as “active members” of the Communist Party of the Philippines-New People’s Army (CPP-NPA). “Nakikita natin talaga si Satur Ocampo is a propagandist of the CPP-NPA. Ang nakikita natin is ‘yung Talaingod, ‘yung Salugpungan at Alcadev, ginagamit talaga ‘yan. The people should know ‘yung Salugpungan at Alcadev is breeding ground for the NPA,” Galvez said, referring to the lumad schools. 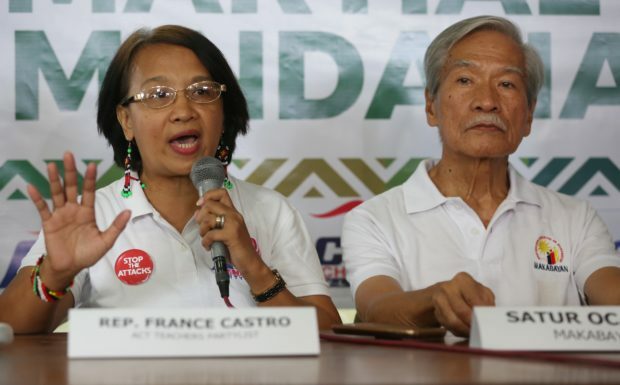 “Yung ginagawa nila Satur dinadala nila dito sa Manila, ginagawa nilang exposure… Ito ‘yung talagang nagpapatunay na talagang itong si Castro at saka si Ocampo, they are active members of the CPP-NPA." “Alam naman natin ‘yan eh. May charges sila dati sa Leyte ‘yung Oplan Ahos. Kaya hindi ‘yan trumped up charges. These are true realities,” he added.